All-wheel drive vehicles offer enhanced traction, increasing your vehicle’s grip on the road and ensuring you have excellent handling, whether you’re dealing with slick roads or quickly maneuvering in dicey traffic. 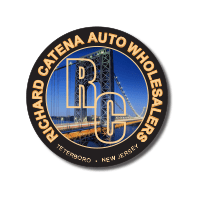 If you’ve been looking for a safe and affordable vehicle, the pre-owned all-wheel-drive SUVs for sale in Teterboro, NJ at Richard Catena Auto are sure to meet your needs while offering the dependability models are known for. 2014 Mercedes Benz GL350 in Lunar Blue with Auburn Brown/Black Leather. Original MSRP $78075. Vehicle equipped with Premium Package, Lighting Package, Lane Tracking, Panorama Sunroof, and Illuminated Running Boards. While AWD vehicles can be more expensive, Richard Catena Auto offers a vast selection of affordable options, including used and Certified Pre-Owned models. Pair our diverse selection with the competitive financing we can offer, and you’re sure to find a vehicle that meets your needs and the demands of your budget. If you need help deciding which SUV is right for you, compare the used Lexus GX 460 vs. used Acura MDX. Get in touch with us today, and then stop by for some test-drives!